Yak Yak Yak! I don’t think I have ever seen or heard of a time when people, men included, talk as much as they do now. If we aren’t talking face to face then we’re talking on the phone. Today mobile phones rule; not only do we talk with our mouths, we also let our fingers do the talking. We talk while walking, talk while driving, talk while shopping, and talk while eating. We talk at the doctor’s, talk at school, talk at work, and talk at church. Some of us talk when we are supposed to be asleep, knowing we have to be up early, because we can’t pull ourselves away from the opportunity to talk. I won’t even get into the Social Media outlets for loquacity. Cheep cheep cheep, talk a lot pick a little more! In the midst of all of this incessant chatter, we must remember that God wants His children to be different. We should not get trapped in the undercurrent of the sea of words. We are supposed to be wise, not foolish. The Bible speaks a number of times regarding the talk of the fool and that of the wise. When I was in middle school, one of my teachers told us that it was better to let others think you a fool than to open your mouth and prove ‘em right; this coincides with the instruction in Proverbs 17:28, “Even a fool is thought to be wise when he remains silent; he is thought to be prudent when he keeps his mouth shut.” The Bible says that a fool is known from talking too much (Ecclesiastes 5:3 ISV). Ecclesiastes 10:14 states that a fool “multiplies words….” I am pretty sure we can all name someone for whom these verses apply. Is it possible that we personally fit this bill? It is reckless for us to be amongst those who always run their mouths; Proverbs 10:8 declares that a babbling fool will come to ruin. Scripture also teaches us that the more one talks the more likely they are to sin; therefore, she who holds her tongue is wise! (Proverbs 10:19) Are you wise? A wise person knows how to, as the old folk say, hold their peace. Proverbs 17:27 states, “whoever controls what he says is knowledgeable; anyone who has a calm spirit is a man of understanding.” Knowledge and understanding are in the arsenal of the wise. 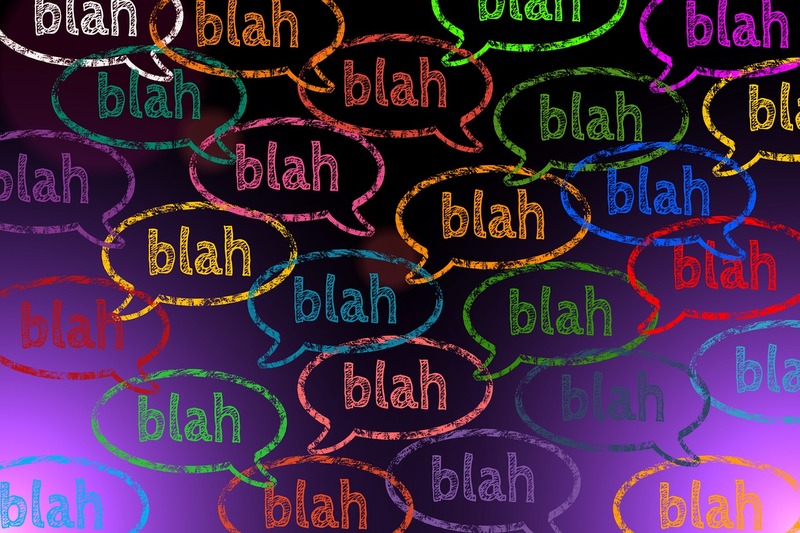 For the believer, it is imperative to conquer the urge to talk excessively. Why? Because our mouths can cause us a world of trouble! When we stay in the mode of constant yammer we join the ranks of fools, failing to listen to anyone else – including God. As a matter of fact, being overly talkative can place us in a position where God cannot bless us. When we talk too much we run the risk of complaining more than giving thanks; we become like the children of Israel for whom nothing God did was good enough. Sometimes when we talk too much we fail to think first; we let our emotions and mouths run away with us and, in turn, reveal issues about ourselves that we fail to recognize. The Bible says that out of the abundance of the heart the mouth speaks (Matthew 12:34). When we talk too much we often profess to follow Christ with our mouths while our hearts speak of the unbelief that dwells within. Remember, Jesus said that we will give an account for every idle word we speak (Matthew 12:36). Let’s determine to obey the Word of God and use our words to edify and encourage others and not as weapons of destruction. Let’s use our words to pray more and forego frivolous talk. Jesus, our example, did not waste words; every word He spoke had purpose. Let’s make it our business to be upright examples in our talk, pleasing God with every word that flows from our mouths. Thanks Juanita for taking the time to encourage all of us, saints and sinners, to get right with God and conduct our lives in a Godly manner…not conforming to the world…. Thanks for stopping by and sharing your thoughts. I am glad you found the post encouraging.